Liberia is the oldest Republic on the African continent and one of those that have gone through tough times across the continent including the recent Ebola Virus Disease outbreak, 2014-2016. 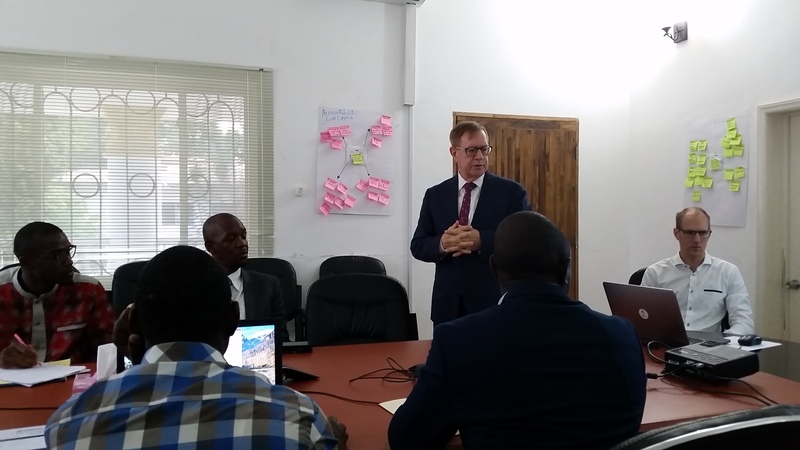 The Liberia Local Empowerment for Government Inclusion and Transparency (LEGIT) project aims to provide support to the Ministry of Internal Affairs and Governance Commission as they lead, monitor and coordinate the implementation of the government’s decentralization agenda. Government of Liberia has embarked on the decentralization process across all 15 counties, where the 4.2 million citizens live. While discussing with the Assistant Minister of Urban Affairs at Ministry of Internal Affairs, Robert Bestman, our team would see the urgency with which government wants the decentralisation process done. To cite just one example: "In the past, it would take one to travel all the way from the counties to Monrovia to access services like acquiring a driving license. What we want now is for the citizens to be able to access such services from within their counties, and we are making good progress in achieving this", the minister informed us. The period of the civil war in Liberia is believed to be big contributor to the rapid urbanisation of Liberia. It was during this period that many moved to towns and cities which were a bit safer to live in. Sub-Saharan Africa is currently the fastest urbanizing region of the world; by 2030, a majority of Africans will be living in urban areas. With high urbanisation rates comes the need to properly plan for the increasing numbers of people in urban areas. HOT is working with our friends at DAI to provide support to the LEGIT program, in order to capacitate city administrations (also called “City Corporations”), Civil Society Organisations (CSOs) and Community Based Organizations (CBOs) across three cities in three different counties: Zwedru in Grand Gedeh, Ganta in Nimba and Gbarnga in Bong county. We are working with the City Corporations and other stakeholders to map the area within an 8 mile radius (which forms the official city boundaries for all cities in Liberia) from the centers of these cities. Our approach is focused on capacity building and sustainability, which are HOT’s priorities in the mapping we do around the world. We are working with community members, training them in tools and technologies we are using around the world so they are able to continue the mapping over time. We are as well working with the City Corporations to develop an urban resilience strategy for their cities, making them safer to live in for their inhabitants. 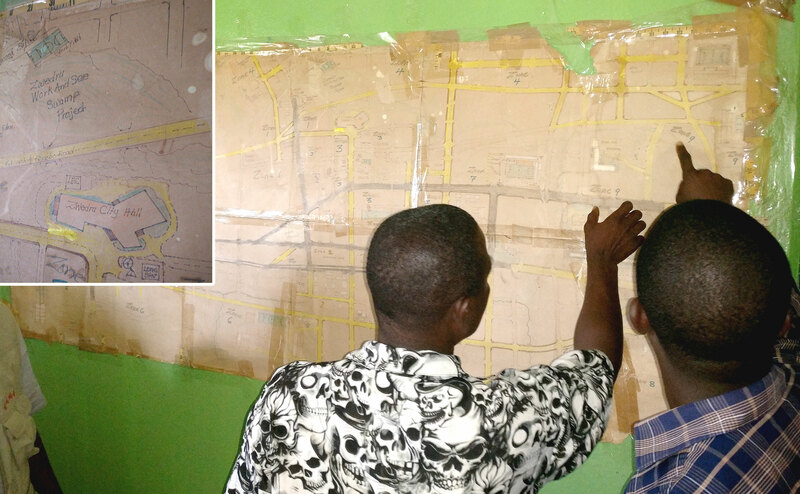 The need for maps is well acknowledged by the City Corporations, CSOs and CBOs we talked to. In as much as many of them had not used mapping solutions and platforms, and do not have up to date accurate maps, they acknowledged the power, purpose and use of maps and having cities and communities well mapped. For instance the Zwedru City Corporation has an old, not to scale map of the city which it uses in its operations. Many of these stakeholders do not have maps, and when they do, they are not detailed and many times not up to date. One of the CSO representatives noted that; “A map gives us an opportunity to engage our leaders on development.” “Mapping is very important because it will give us more information about communities in which we operate.” remarked another CBO representative in the meeting. The gap for Open Data in Liberia still remains huge. OpenStreetMap is increasingly becoming a place to go to access free datasets for the country. 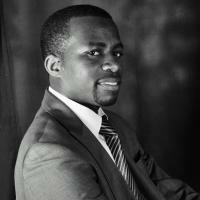 In as much as government agencies and other partners are working with lots of data and datasets, there is need to do more as it relates to availing these dataset and open data. 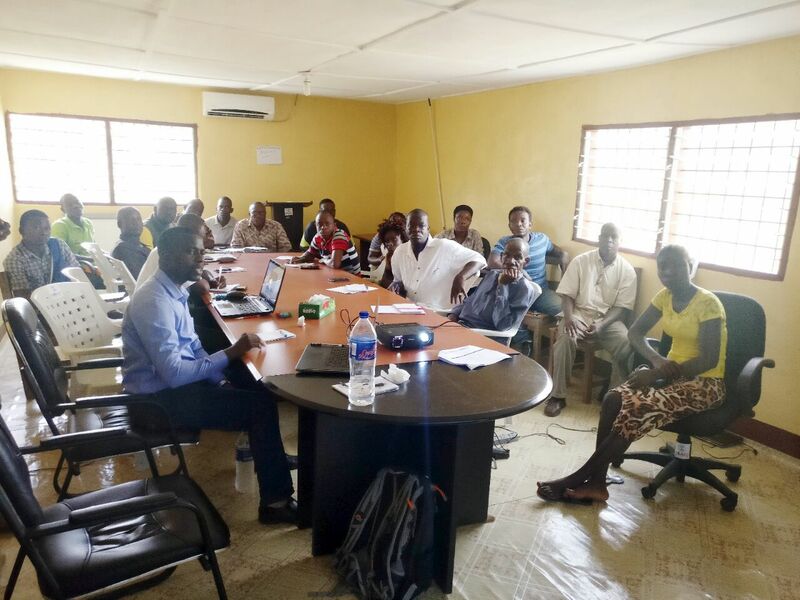 In September 2016, American Red Cross through the West Africa Mapping Project started the OSM Liberia Community which has since then continued to grow, establishing YouthMappers Chapters in four (4) universities in Liberia. This is a step in the right direction in relation to open data as well as mapping Liberia. Through our work with in the cities in the coming months, we will be working to grow a community of mappers that will continue to put Liberia on the map, a step towards achieving government inclusion and transparency.